AMP stands for Accelerated Mobile Pages, it is a Google-backed project designed for any publisher to have pages load quickly on mobile devices. Accelerated Mobile Pages (AMP) is designed to enable publishers to easily improve speed and by extension the user experience for their mobile users. Pages who make use of AMP coding actually appear within special places in the search results and with a special “AMP” designation. Before AMP was introduced similar results were possible to achieve but it could only be done by experienced developers through quite specialized performance optimizations and it required a lot of time and was often simply not done as people found it too arduous and/or lack of resources played a factor. The great thing about AMP is that it allows businesses to now do these optimizations quite easily by themselves in quite a quick time. 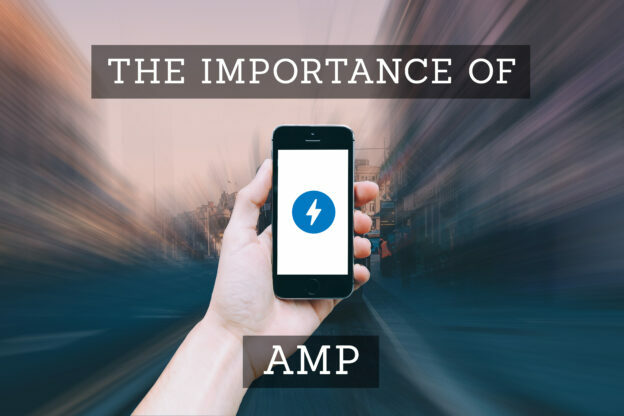 By optimizing your site with AMP you are being proactive and putting yourself in a great position because chances are it’s going to become more and more popular in the future and google themselves are encouraging the use of AMP and are likely to favour pages with AMP when it comes to the search engine listings. When using AMP there are some important considerations to make such as you will have to maintain at least two versions of any article page or post. One version will be the original version of your page or post that users will typically see, and then their will also be the AMP version of that page. Also AMP doesn’t allow things such as form elements so you most likely won’t be able to have elements such as lead forms, on-page comments and other more common elements you may be used to incorporating on your standard page when optimizing them. However despite this, one thing that can’t be denied about AMP is that it truly does provide quite an easy, fast and efficient way of improving your site speed on mobile devices and considering we live in a mobile first indexing world that is more important now than ever.